Party up with friends and siege the kingdom. 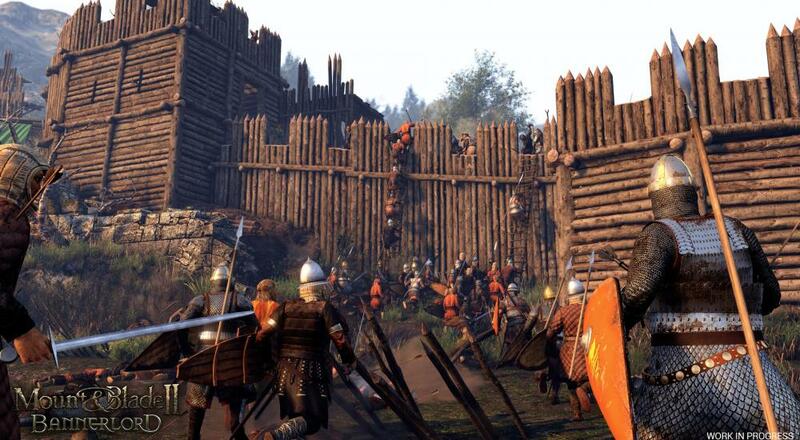 Mount and Blade II: Bannerlord is an ambitious game. In development for the past few years, the game is the first full on sequel to the previous title which saw numerous expansions over the years. The series is famous for it's open world, sandbox style gameplay combined with an incredibly satisfying combat mechanic. Bannerlord looks to build on the foundation of its predecessor but ups the ante with a detailed economic system, siege combat, crafting and more. The one thing though we weren't sure the game would have would be multiplayer. In a recent developer blog, we get our first details. Will the game have co-op? Adding co-op functionality to Bannerlord would increase the complexity and development time of the project considerably and therefore it will not be included in the release. We can hopefully add it as a DLC after release. We think the only viable way to support this is to make a single party co-op where additional players can join the main player’s battles but cannot venture into the campaign map on their own. So it sounds like there's already been some consideration of not only the type of cooperative play, but how it would be implemented. While not confirmation, it's easy to get excited for this sort of fun with pals. Page created in 0.6511 seconds.